This tip comes all the way from Japan. I love it how it uses something for which it wasn't intended. These little circular stickers are normally used to reinforce perforation holes. And with the small dispenser, they can also be used as strong, small sticky tapes! 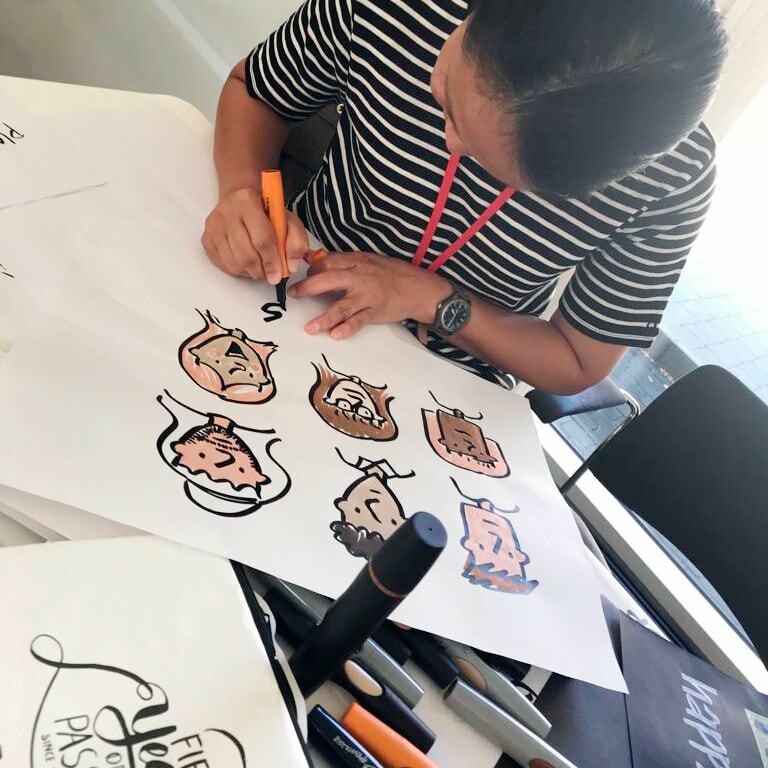 I recently attended a Scrum Trainer Face to Face in Melbourne Australia and had a great conversation with Wai Ling Ko about drawing and diversity. The default set of colours I carry has limited options for skin colours... Dark brown, skin-pink and... yellow? It looks like Neuland has been listening in because they just released their set of Diversity markers. Combine with the standard colour set to also include more colourful hairstyles and your drawings will become a lot more inclusive!